Fallen logs provide habitat for an incredible diversity of fungi and lichen. Lichen are composite organisms made of algae (or cyanobacteria) and fungi. The algae and fungi have a mutualistic relationship whereby the alga provides photosynthetic nutrients to the fungi, which provides a structural habitat. 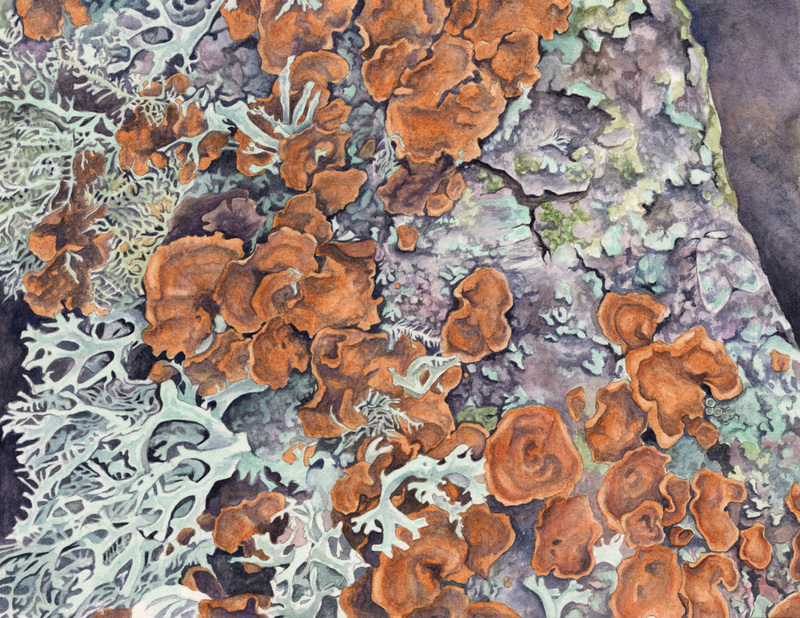 Lichen can be branched or encrusting, and both forms are shown in this illustration. This painting depicts a large number of species that were inhabiting a fallen log in Sonoma. If you look closely, you can see a moth camouflaged against the lichen.